An impressive sanctuary in a sought after address, this beautifully presented home is peacefully set amid established fragrant gardens and lush bushland, giving it a magical sense of seclusion. Spacious, exceptionally private and exuding a serene ambiance, this immaculate home is blended over 2 levels of sophisticated living with soaring ceilings and a choice of internal living or alfresco spaces. The northeast rear aspect with landscaped gardens has a leafy outlook with the magnificent ocean beyond. The first floor consists of large lounge, living and dining rooms, with air conditioning and fans throughout. The workable kitchen has both gas and electric cooking, double stainless steel sink and dishwasher. The 4 double bedrooms all have lovely views of the surrounding flora and fauna. The 3-way bathroom is spacious, with bath and shower, separate toilet and separate vanity. One of the highlights on this level is the fully enclosed entertaining room, complete with bar and slow combustion wood fire, with magical views out to the ocean and capturing the beautiful ocean breezes. The adjoining deck is both private and creates yet another entertaining area. The ground floor consists of lounge/rumpus room and a huge double bedroom complete with built in robes. The laundry boasts an additional shower and toilet, making this area perfect for a teenage retreat or simply for the extended family. Having internal access from the triple lock up garage is another added feature, along with the full sized workshop. The nature reserve adjoining this property ensures your privacy and allows you to enjoy the beautiful wildlife or simply a game of cricket with the kids. Kioloa is a small hamlet located on the South Coast of New South Wales. The Australian National University's Kioloa Coastal Campus is north of the town. Its neighbour is Bawley Point. Both of these villages rely mainly upon tourism as a source of income. 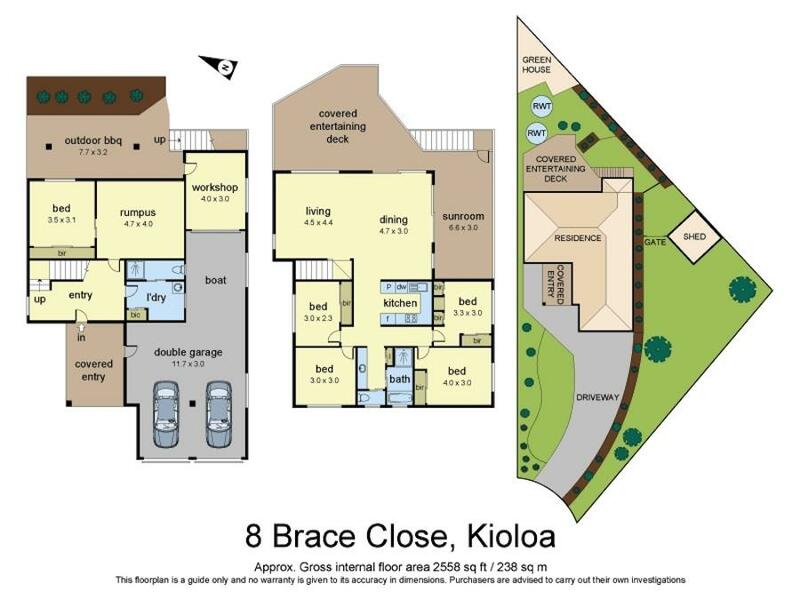 Kioloa has three large caravan parks offering a range of accommodation options to suit all budgets and one general store. The area is well known throughout the region for its pristine beaches and peak surfing conditions. Kioloa is the southern terminus of local bus services provided on weekdays by Ulladulla Bus Lines which runs twice daily from Kioloa to Ulladulla via Bawley Point, Termeil, Tabourie and Burrill Lake. An additional afternoon service runs on school days. Only a 20 minute drive from Ulladulla, 3 hours south of Sydney and a 90 minute drive to the ACT, Kioloa has become the "go to" destination. With all of this only a short stroll to white sandy beaches, and located in a cul-de-sac makes this home "Perfectly peaceful".